At long last the two volumes of the first Mixteco Grammar by Fr. Ferdinand Kouadio Komenan, PIME are in Mexico bookstores. This daring idea came to me from different, converging directions. As a young man, at home in the Ivory Coast, I appreciated the work of two missionary priests who labored mightily to produce a Baoulé (the language of the Akan people who make up one of the largest groups in the Ivory Coast) grammar so that anyone from my area could write and read Baoulé. The two missionaries were Michel Carteron, a French priest of the African Missionary Society (AMS) and Giovanni De Franceschi, of PIME. These two priests dedicated a lot of their energies to a systematic and scientific study of the Baoulé culture. Their first step was to publish books, dictionaries and, in particular, a book of the grammar of the Baoulé language. Ivorian linguists keep relying on the work of these two missionary priests as the primary source for research and the production of further publications. The original intention of these two priests was to enable us, the Baoulé people, to savor better understand the Word of the Gospel. On the day of my first Holy Mass, I asked Fr. 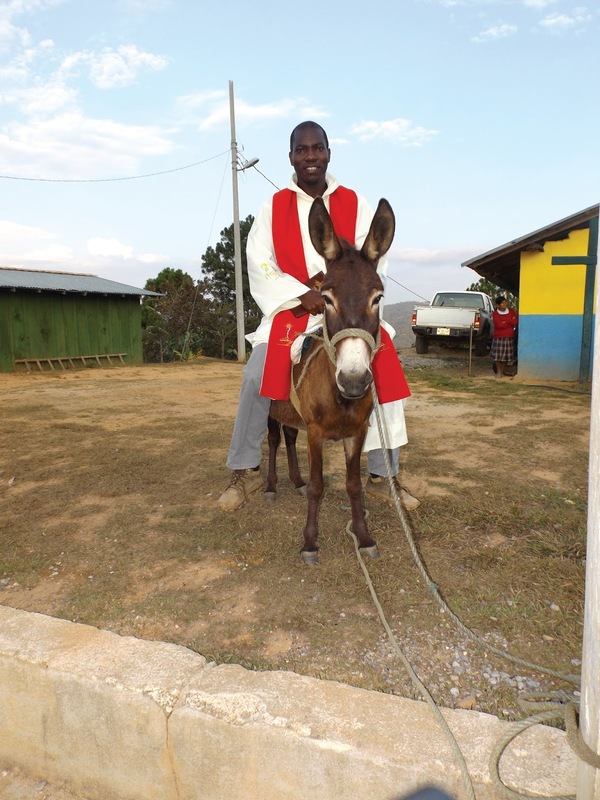 Giovanni De Franceschi, who had accompanied me through all the years of my religious formation in the Ivory Coast, to deliver the homily. This Italian priest, who has since passed away, delivered the homily in Baoulé! Everyone applauded enthusiastically for a long time. The mayor asked for the written copy of the homily so that he could keep it in the town’s archives! I will never forget that most memorable day. That day was significant to me especially, because it was the day that I decided that I will dedicate my missionary energies to the study of the language(s) and culture(s) of the peoples to whom I would be assigned as a preacher of the Gospel, so that they too, may share in this joy. 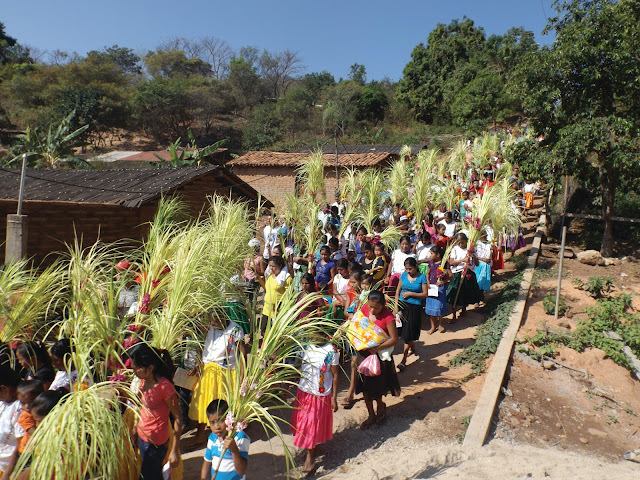 In Mexico, my superiors sent me to exercise my ministry in the mountainous State of Guerrero among my Mixteco brethren (the indigenous peoples of this region of Mexico) with the added task of studying their language and culture. I accepted this extra task with sincere enthusiasm, despite the foreseeable and inevitable difficulties. The two volumes that I produced are the fruit of my arduous, gradual and unwavering labor, protracted over several years. I found additional resolve in the simple realization that, as a missionary, I needed to be able to communicate with everyone, not only with those who spoke Spanish. This is how I reasoned: if my Mixteco brethren have the right to communicate and to pray in their language I, as a missionary, have the duty to tear down linguistic barriers in order to be closer to them. I spent my first 18 months in Cuanacaxtitlán. A lot of my time was dedicated to putting together a brief, simple Mixteco grammar when I received my new assignment to go to La Concordia. I rushed to finish the first draft of that grammar book with noticeable apprehension, but I was reassured by the thought that surely the Mixtec of La Concordia spoke the same language… When I arrived at La Concordia on January 15, 2014, to begin my new missionary experience, I was welcomed with a familiar feeling; being completely unable to communicate! The inflection, the verbs, the vocabulary, the accent, and even the way of greeting: everything, absolutely everything was different from the Mixteco that I had learned in Cuanacaxtitlán. Everything that I had learned at that first mission station was useless at La Concordia. I found out that even though the total Mixtec population amounts to about 500,000 souls, they speak 81 linguistic variations of Mixteco. Does this mean that there should be 81 different Mixteco grammars? I was faced with two choices: go back to Cuanacaxtitlán, or accept the daunting challenge in front of me once again. After a hiatus of three months, I settled in La Concordia and, hesitantly, I learned to accept and to love the new reality that I found there; at the end I wound up with not one, but two Mixteco grammars books on my hands. The template of these two grammars is the same one that I found in a basic English grammar book adapted for Spanish translation. I translated all the English parts in the two Mixteco variations (of Cuanacaxtitlán and of La Concordia) and I came up with my basic Mixteco grammar texts. In them I put the terms for different colors, numbers, family members, and even simple dialogues about ordinary matters. After that I translated in Mixteco (of Cuanacaxtitlán and of La Concordia) an advanced English grammar and, thus, I came up with my advanced Mixteco grammar texts. The two volumes offer more than what one would find in a traditional grammar and syntax book. I included some history on the origins of the Mixtec, their culture, geography, social structure and even their traditional medicinal remedies. One might wonder how I could carve the necessary time for this double endeavor from the time needed for pastoral work. Well, after a while, this work of writing the two grammars became a consuming passion, and one finds always the time necessary to address the fire that burns inside. Besides, I soon realized that no matter how well I could preach in Spanish, and how convincing I might have sounded in that language, I could only reach a small fraction of my faithful. I needed to learn the two variations of Mixteco in order to reach the hearts of all my people. Pope Francis said something along these lines: “We all love to be addressed in the first language we learned from our mother. Shouldn’t it be the same whenever someone tells us about the truths of our faith? Shouldn’t it be spoken to us in our maternal language? Our heart would be better disposed to embrace it.” (see 2 Maccabees 7: 21,27). This is the motivation that drives me to continue with this linguistic effort. Frankly, I have to use the term “effort” because I have been diving into it with my whole self and to the limits of my strengths. I am also looking into the future. A Baoulé proverb says: “As long as the head is working, the dream is possible.” Social media technology is advancing so much that I am looking for someone with whom I could create a free Android, Apple, and Windows app so that these linguistic researches may be shared with anyone. Furthermore I dream of teamwork: I would like to team up with some other missionaries so that I might not be going it all alone.